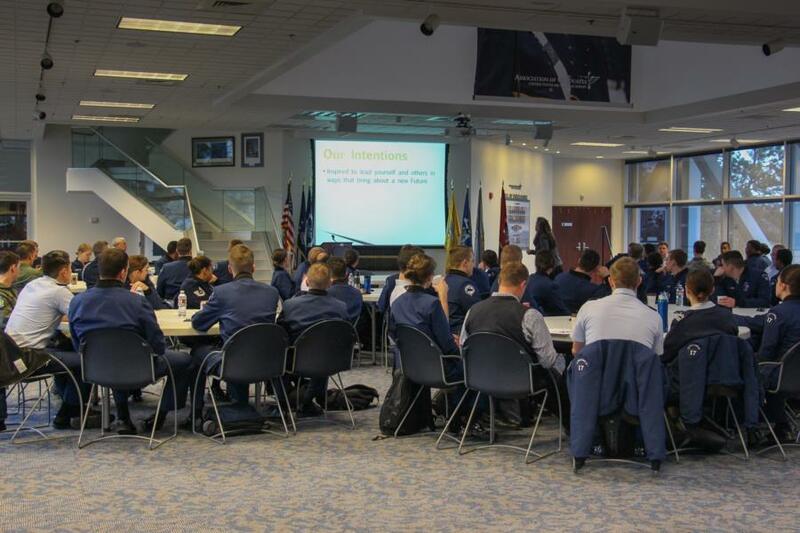 Second class cadets take part in a one-day offsite seminar - Leaders In Flight Today (LIFT), at our Academy Association of Graduates Building. 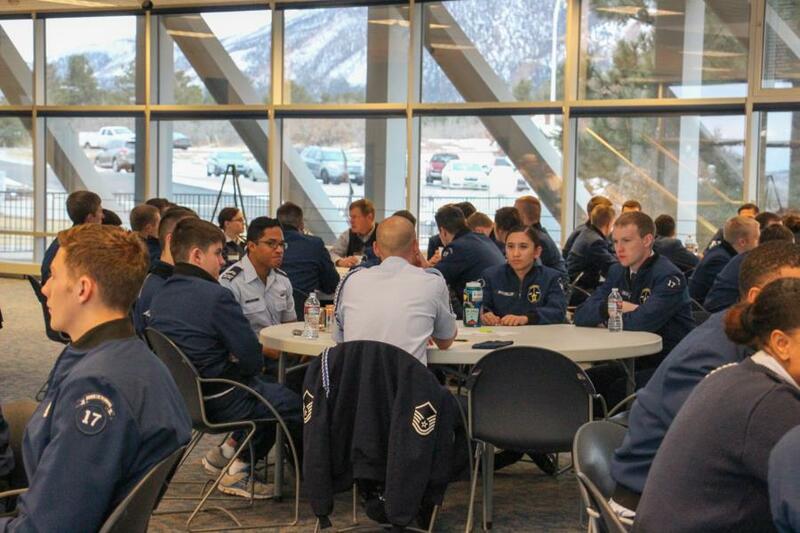 Cadets will focus on high performance, dynamic team building with emphasis on becoming "Servants of the Nation." Team building topics emphasize servant leadership, trust, loyalty, and moral courage. LIFT emphasizes being part of something larger than oneself, and leader skills development. The seminar stresses character and leadership development using a variety of teaching tools and techniques, including experiential learning activities, case study analysis, and small group facilitation. 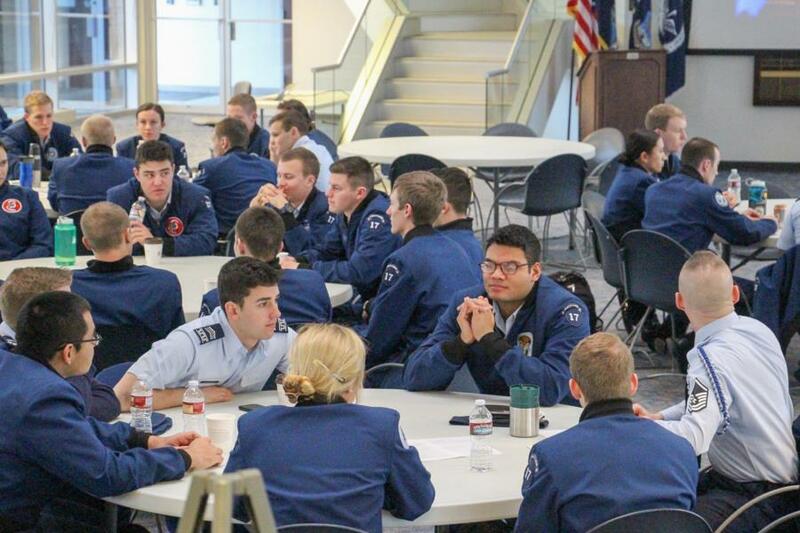 The day culminates with opportunities for cadets to field test major insights within their squadrons and challenges cadets to commit to building their own high performance teams. LIFT seeks to target second-class cadets as they perform their leadership duties within their squadron, with particular emphasis given to cadet Element Leaders and their role in developing the competencies and character of those in their immediate scope of responsibility. To view the rest of the pictures go to Galleries - Military Training - Character & Leadership Development. Or click the link below.